The death of a loved one is a trying time emotionally, physically, and financially. Sometimes the most difficult time occurs after the funeral when family and friends are handling the legal implications of death. Preparing the personal property for resale can be a potentially hazardous project in the event of unattended death or chronic illness in the home. The professionals at Clean Quest LLC are prepared to clean, disinfect, and dispose of biohazardous material properly. Our professional team understands how urgent some family matters can be. 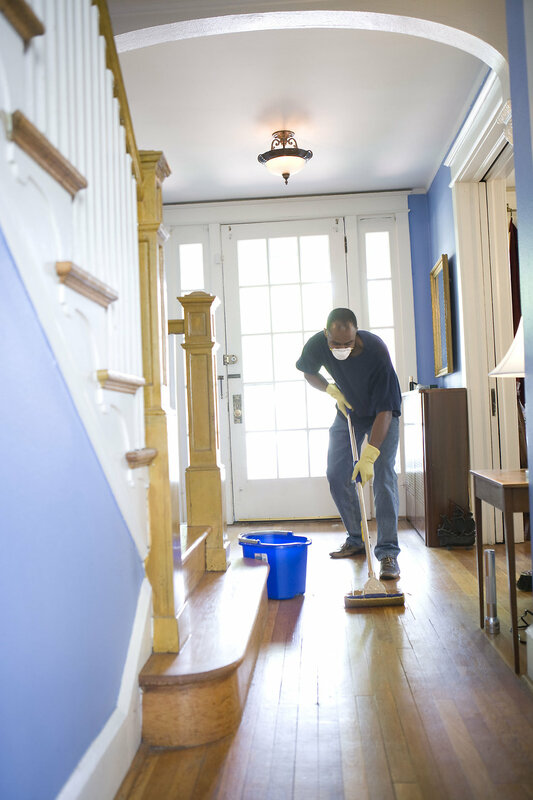 Available 24/7, it is important to know when to call a professional cleaning team. What is a biohazardous material? Blood and bodily fluids are considered biohazards. Contact or improper cleaning of biohazardous material can lead to contamination, infection, or illness. As many bloodborne pathogens are transmitted by blood and bodily fluids, it is important to treat all contaminated fabrics and materials as potentially hazardous. Our professional cleaning team is well educated and trained on cleaning, disinfecting, and disposing of biohazardous materials. In addition to understanding the safety measures, we offer comprehensive cleaning services and can clean the entire home. We are a local, family-owned and –operated business that is fully bonded, insured, and certified by the IICRC. Serving Martinsville and Central Indiana, we offer free, on-site consultations and quotes to customers. Visit our website to view customer reviews and testimonials. The death of a loved one is a devastating time that is complicated by real estate and financial burdens. Let the cleaning professionals at Clean Quest assist with the residential cleaning to take one source of worry off your shoulders. Contact us at (765) 349-1102 for a free quote today.